Russian winters are notoriously cold and harsh, and the Russian people have thus developed many different types of warm clothing for survival and comfort. 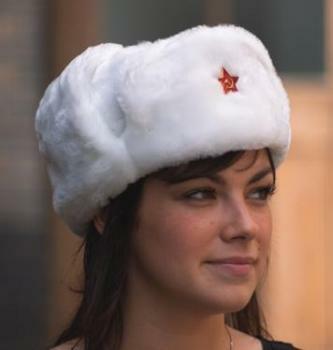 The ushanka, a type of warm winter hat, is one of these. Throughout the world, Russians are associated with round fur hats. Round fur hats with flaps that can either be tied or otherwise fastened on the head, or unfolded to cover the ears are called ushanka. More than just a hat, they also serve as protection for the head, as they are thick and strong. However, most people who wear these hats appreciate them for their unparalleled warmth. Ushanka cover not just the head, but the ears and often a good deal of the neck and jaw as well.